What do you get for a vice president-elect who moves to your neighborhood while he waits for his inauguration? If he has the bad track record with LGBTQ rights that our soon-to-be veep does, you surround Mike Pence's house with gay pride flags. WJLA in Washington, D.C. reported that Pence’s neighbors in Chevy Chase have started displaying gay pride flags on their homes, reportedly in an effort to protest the vice president-elect’s positions on LGBTQ rights. Some news outlets, like Politico, have categorized the move as “trolling,” but it seems to me that these citizens are, in fact, exercising their First Amendment rights in the finest, best tradition of free speech. Even qualifying the flag-flying as positive trolling — positrolling? — seems to diminish the legitimacy of the protest. Supporters of LGBTQ rights have plenty to disagree with when it comes to Pence’s positions. The Indiana Governor made headlines in 2015 when his state passed a controversial Religious Freedom Restoration Act (RFRA) law, which allowed businesses to legally discriminate against LGBTQ people if they claimed serving them violated their religious beliefs. 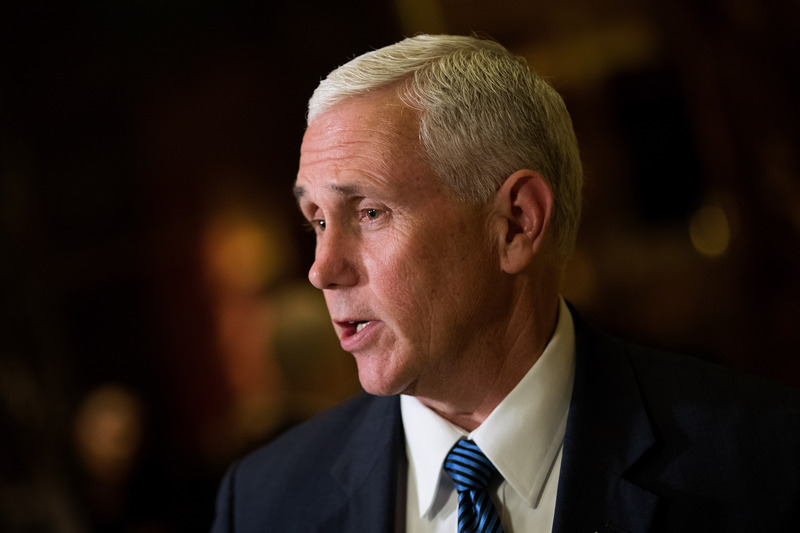 When faced with significant backlash, Pence signed a revised version that stated businesses could not discriminate based on sexual orientation. Pence's spokesman denied the vice president-elect's support for conversion therapy to the New York Times. Still, even though Pence has clearly distanced himself from these positions since, his rising political power worries many LGBTQ Americans. What is so great about the Chevy Chase protest is that it addresses one of the central problems discussed in the aftermath of the 2016 election, namely that liberals and conservatives are so polarized that we stop communicating. I believe that one of the things that enables people like Pence to hold hateful views towards others is the fact that they can’t empathize with their lives. The house with the American Flag and the gay pride flag side-by-side is an important visual for someone like our next vice president to see. Massive protests in the streets, like the ones happening in New York and planned for Thursday in Chicago, are an important part of the post-election political process, these quiet neighborhoods acts of protest are just as important, and in some ways, may be even more effective.